Karthi, who has always been very selective with his films, is celebrating his tenth year in Kollywood today (23rd February). Ten years back, on this day, his debut film Paruthiveeran got released, which opened up to highly positive reviews and is still considered as a cult classic. Aayirathil Oruvan, Paiyaa, Naan Mahaan Alla, Siruthai, Madras, Thozha and other films remain as important ones of his career. 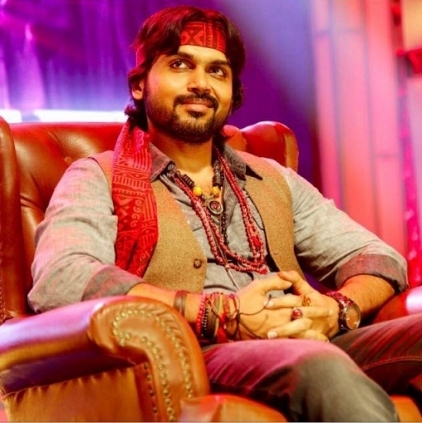 On this special day, Karthi made an official statement about this on Twitter. He posted, "This day 10 years back Paruthiveeran released. Ever since you all have been extremely kind and showered me with love. I've had my highs and lows but you all have been there for me and made my life beautiful. Am always indebted for that and will continue to put in my best efforts. Thank you and Love you all! Sincere thanks to God, Family, Anna, My Directors, Technicians, Producers, Co-stars, Friends of media, Pandian master, Theatres, Distributors and My dear Fans!" We at Behindwoods send our best wishes to Karthi on this successful feat.